depend on the willingness of participants to expose themselves to the risks of randomization, blinding, and unproven interventions, everything justified only by the knowledge of which society will benefit. Until 1997 with the signing of the Food and Drug Administration Modernization Act in the United States, the protection of the interests of study participants after trial completion has received significantly less emphasis. 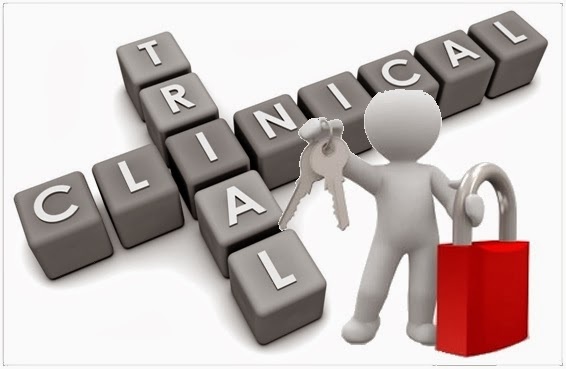 The registration of clinical trials serves an important role in protecting the interests of study participants after trial completion. Publication bias can distort the apparent efficacy of interventions. A recent study has estimated the frequency of non-publication of large randomized clinical trials and, for unpublished trials, determined the frequency with which trial results are unavailable in ClinicalTrials.gov. 29% of large clinical trials remain unpublished five years after completion and, of those, 78% have no results publicly available. This means that an estimated 250,000 people (of course all volunteered and many even paid) have been exposed to the risks of trial participation without the societal benefits that accompany the dissemination of their results, worry the authors. For the authors in the British Medical Journal, “willingness of people to expose themselves to risks” is due to society’s benefits and not because they are paid or may get a benefit from an experiment treatment. But when trial data remain unpublished, the societal benefit that may have motivated someone to enroll in a study remains unrealized. Although US law requires that trials involving human participants now be registered on the largest clinical trial website, ClinicalTrials.gov. they believe that this legislation has been largely ignored. After searching in PubMed, Google Scholar, and Embase, 585 trials were identified with at least 500 participants registered with ClinicalTrials.gov and completed prior to January 2009 - before the mandatory requirement that came into effect September of 2009. The average time between study completion and the final literature search (November 2012) was 60 months for unpublished trials. Registry entries for unpublished trials were then reviewed to determine whether results for these studies were available in the ClinicalTrials.gov results database. Of 585 registered trials, 171 (29%) remained unpublished. Of these, 133 (78%) had no results available in ClinicalTrials.gov. Non-publication was more common among trials that received industry funding (32%) than those that did not (18%). They concluded that the lack of availability of results from these trials contributes to publication bias and also constitutes a failure to honor the ethical contract that is the basis for exposing study participants to the risks inherent in trial participation. Additional safeguards are needed to ensure timely public dissemination of trial data.